Opening this weekend at the Quad Cinemas in New York TITO AND THE BIRDS is a film that is going to play best for the adults in the audience. That isn't a knock, more that the film which features a super rich fear mongering TV star is going to hit home with those who see the parallels with the current occupant of the White House. In a fear filled dystopian world not far removed from our own Tito lives alone with his mom. His dad was thrown out when a machine to talk to the birds blew up injuring Tito. As Tito tries to replicate his father machine with the help of friends the world is plunged into chaos as a new plague threatens to infect everyone. Will Tito and his friends be able to stop it? Looking like almost no other film TITO is a film that looks like an oil painting come to life. While not as detailed as say something like LOVING VINCENT, it uses its minimalist style for some truly breath taking sequences (the flight sequence toward the end or any of the shots of the flocks of birds). This a a film that is an absolute treat for the eyes. While the film's world where everyone is afraid can be a little dark, the films message about how with other people we will be less afraid is an important one. It is even more important in today's world where Donald Trump is constant flogging the idea that one thing or another or one group or other is coming to kill us. Almost certainly to be lost on younger viewers is the fact that Trump's empty promises mirror those given by the super rich TV star in the film. 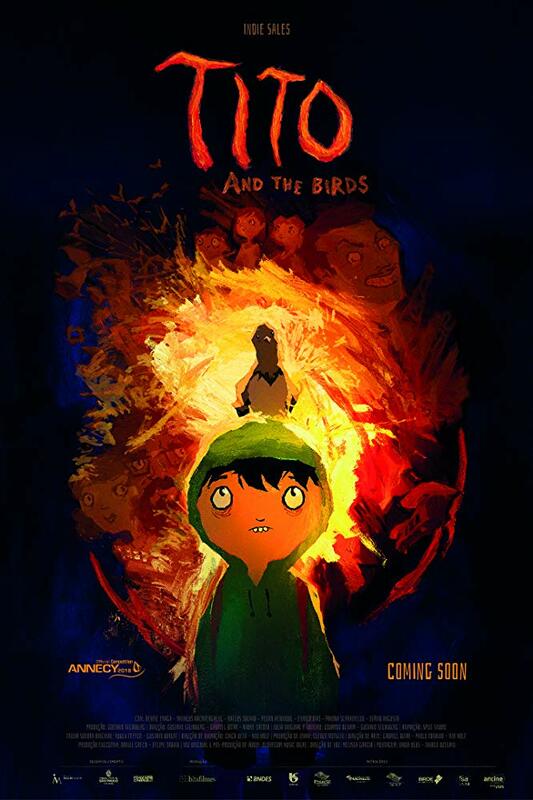 TITO AND THE BIRDS is a very good, one of a kind film. While it is probably going to be too intense for younger viewers , older mre thoughtful kids and adults are going to love it.